I can’t believe I still owe you this one! 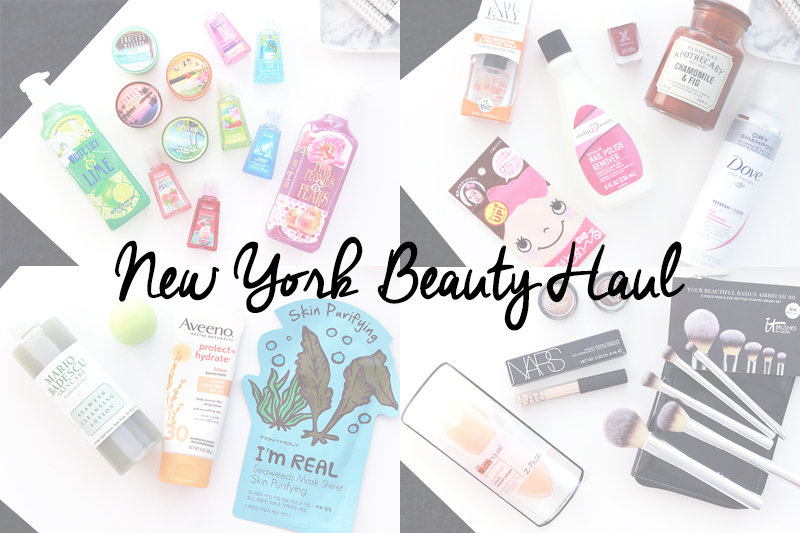 It’s been nearly three months since I was in the States already and I totally forgot to post my NYC haul.. Oops! I was in New York for six days on a personal holiday, so I had a little more shopping time than during my last trip to the US. 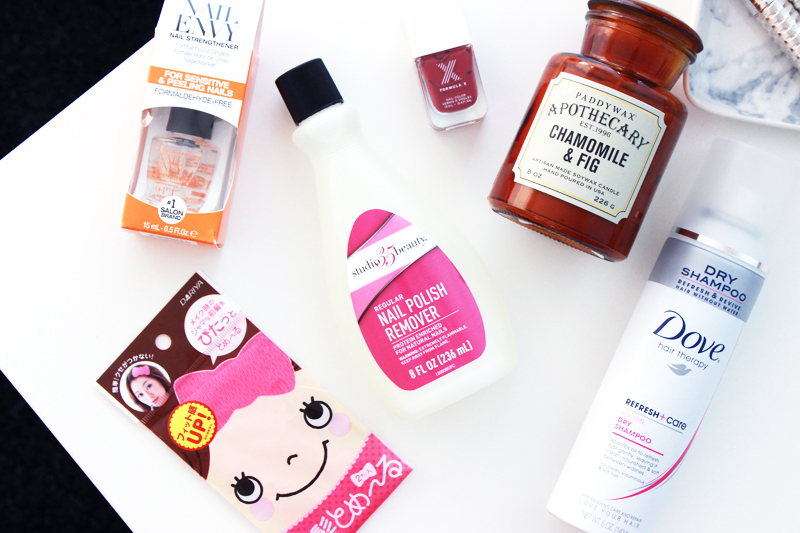 I’m still planning to do a post with all the fun stuff we did during our stay (check out my Instagram account in the meanwhile as I posted quite a few pictures from the trip), but as I’m a sucker for these kinds of travel beauty haul posts myself.. I didn’t want to keep it from you! Sorry it took a little longer than I had promised.. I always immediately think of Bath & Body Works when we’re talking US haulage. 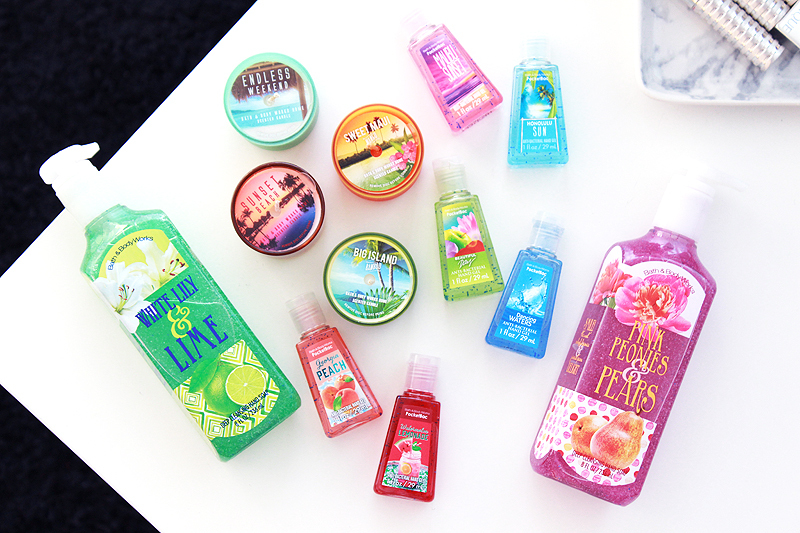 I really love their candles, deep cleansing soaps, hand sanitisers and shower gels (okay, I love just about anything they sell) and I really wish they’d finally make a move into more countries in Europe. It looks like they’re already present in Poland, so I’m thoroughly hoping this might happen soon! I got two deep cleansing soaps which were on sale, a few mini candles and some hand sanitisers. I was really doubting to purchase some bigger candles too, but the reality is that I have too many candles at home as it is. So I made a deal with myself: I can only get new ones when most of my current candles are finished. Challenge accepted! Obviously, I just had to visit an Ulta. There is no Ulta in Manhattan, but luckily we had a trip to the Hudson River Waterfront Walkway planned, with a little mall area right across the bus stop where we had to take the bus to head back to Manhattan. I was very excited to find the It Cosmetics for Ulta brush set I have been eyeing since a while now, so I didn’t hesitate a second and put it straight into my basket. I also got two Maybelline Color Tattoo’s since there was a little promo going on & two Real Techniques makeup sponges as these are like Photoshop, but without the Photoshop. I also got a NARS Creamy Concealer in Sephora - I’ve wanted it for a while and was hoping to use it as an under eye concealer, but it sadly creases quite a bit on me when I use it there. As it's quite a pale shade, I'm not using it for a bit of contouring. In New Jersey we also passed by a Japanese mall and being the Japan lovers that we are, we just had to go in and browse the supermarket. I bought these cute pink velcro bows to pin your hair back with while doing your makeup - aren’t they adorable? In Duane Reade I purchased a nail polish remover from Studio 35 Beauty because I had forgotten mine and really needed one, and this one surprisingly turned out to be REALLY good! I wish I had purchased another bottle - I will certainly do so when I’m back in the US. I also finally tried the Dove Dry Shampoo as once again I forgot to pack my own dry shampoo, and yes.. It’s as good as everyone says it is! During a huge down pour (really, it felt like the whole of New York was going to flush away) we turned to Barnes & Noble for shelter and I was surprised to see they had a whole gift section too next to a billion sections of books. I found this delicious candle by Paddywax that smells like Chamomile and Fig - yes I do realise that a couple of days earlier I promised myself not to get anymore candles, but I couldn't help myself as this brand isn't available in Belgium at all. Good excuse, no? Back in Sephora I finally purchased a Formula X nail polish, which I’m now totes smitten with it. I tried this shade 'Exquisite' on in the store (yay for nail bars!) and just had to take it with me. I was doubting to get the whole kit, but felt like I needed to try just the nail polish first. I’m now definitely sure though that I am getting one of those full Formula X kits next time. In the Duty Free section at the airport I treated my nails to the OPI Nail Strengthener for sensitive and peeling nails because mine can really use some TLC.. 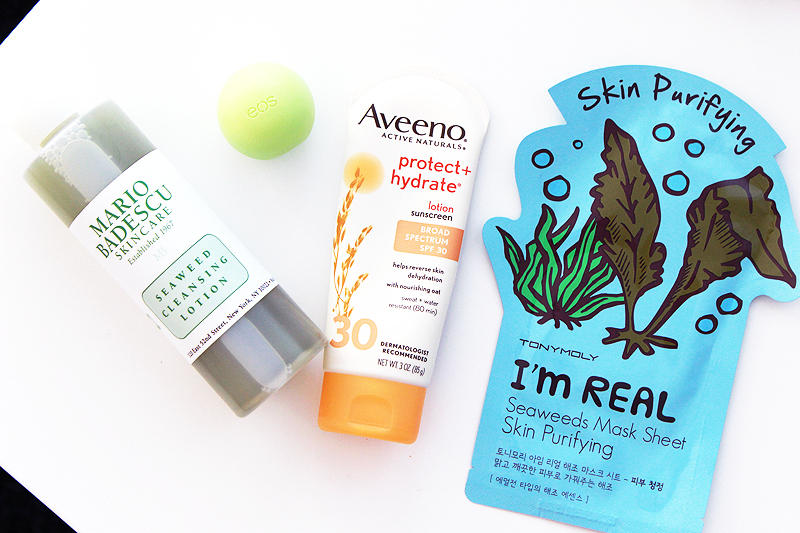 When it was super sunny out I was lacking some decent sun protection and hydration, so I picked up the Aveeno Hydrate + Protect lotion sunscreen and an EOS lip balm. Both are really good and if they were readily available here they'd easily become staples I'd repurchase again and again! On the most rainy day we planned in some Manhattan shopping and we ended up in Urban Outfitters, which is so much more interesting there than it is here. 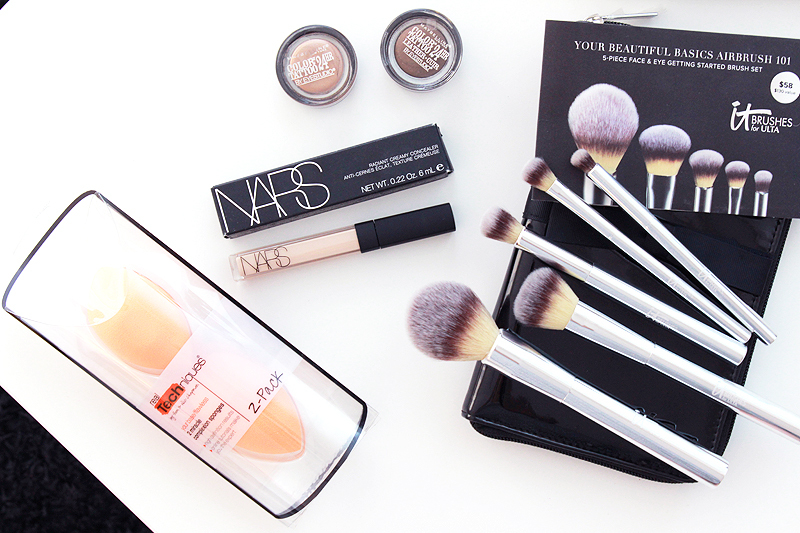 There was quite a big beauty section so apart from a pretty t-shirt, I just had to pick up a few beauty items too. I got a Mario Badescu Seaweed Cleansing Lotion as I really like the brand and thought it sounded interesting & also purchased a exciting few face and nail masks. 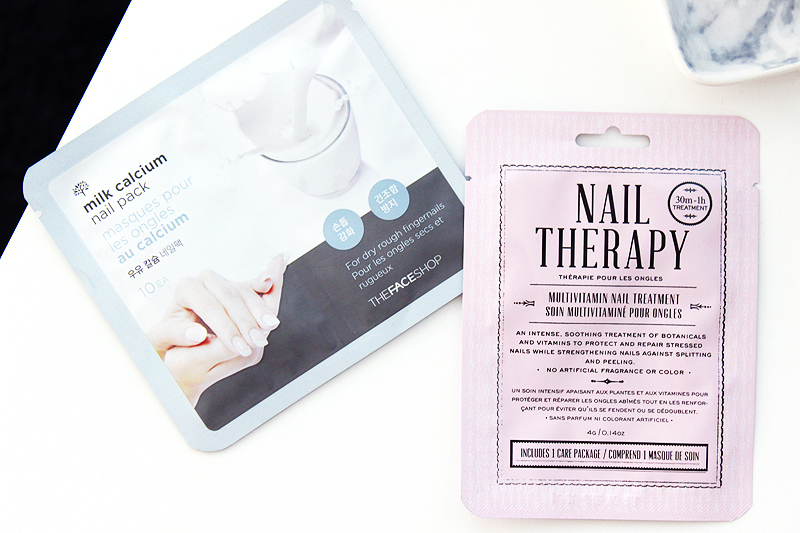 I'm pretty used to using face masks, but I had never tried their nail masks before: just how cool are these? I've already tried one of these and I'm definitely going to purchase more. eBay to the rescue!